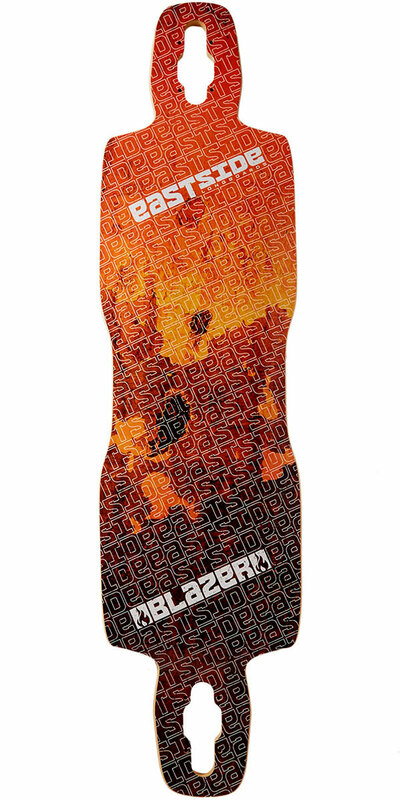 Rocky Bomber Deck only – No trucks and wheels. 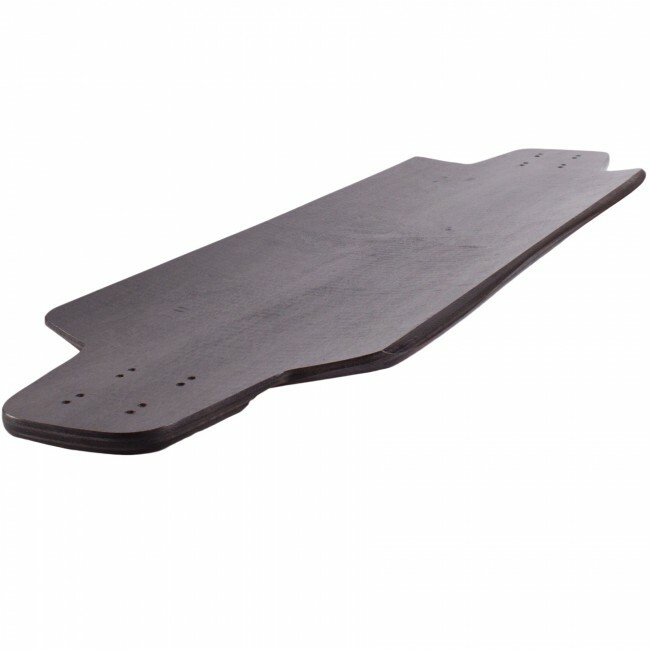 Mounting Hardware comes with Griptape. Named after one of the dormant volcanoes in the Portland area Rocky Butte. It’s all about freeriding and bombing hills. 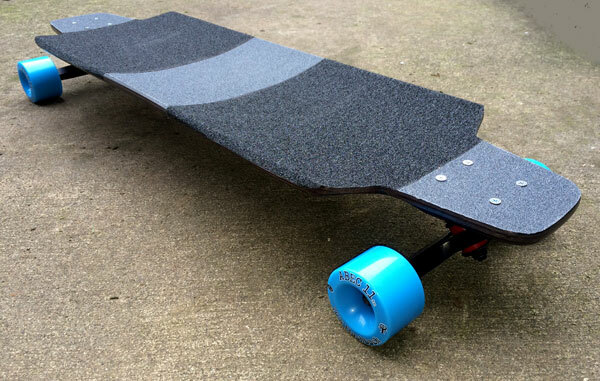 Top Mount and perfectly symmetrical for a variety of setup options and riding styles. Deep elliptical concave with lots of space to spread your feet out wide for sliding. A combination of wheel-cutouts and wheel-wells allows for wheels up to 76mm with no riser eliminating wheel-bite. Full length gas-pedals makes it easy to put direct leverage into your slides with any size stance. 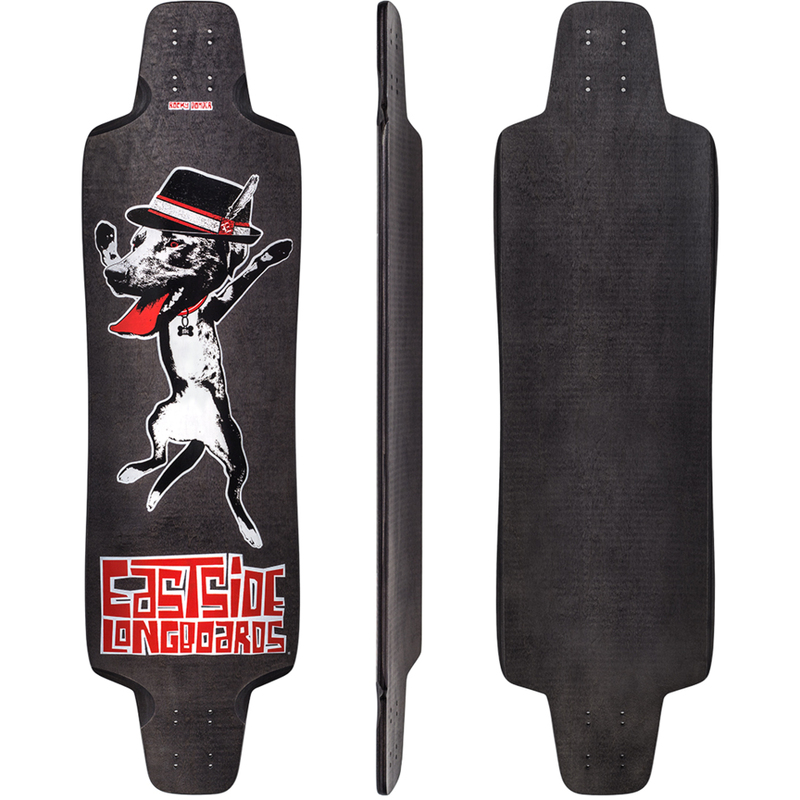 Recommended wheels up to 80mm with large cutouts and wheel-wells. 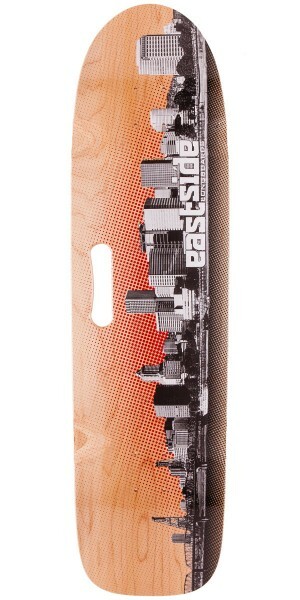 Speed stiff 8 ply hard rock maple made to hold riders up to 240 pounds with no flex. Tribute graphic to the Eastside shop hound – Otis the Catahoula Leopard Dog. Symmetrical shape for switch riding. 8 plies of extra thick Maple for strength and durability. Accurate wheel cutouts and wheel wells to eliminate wheel-bite. Full-length gas pedals to leverage your slides with any size stance. 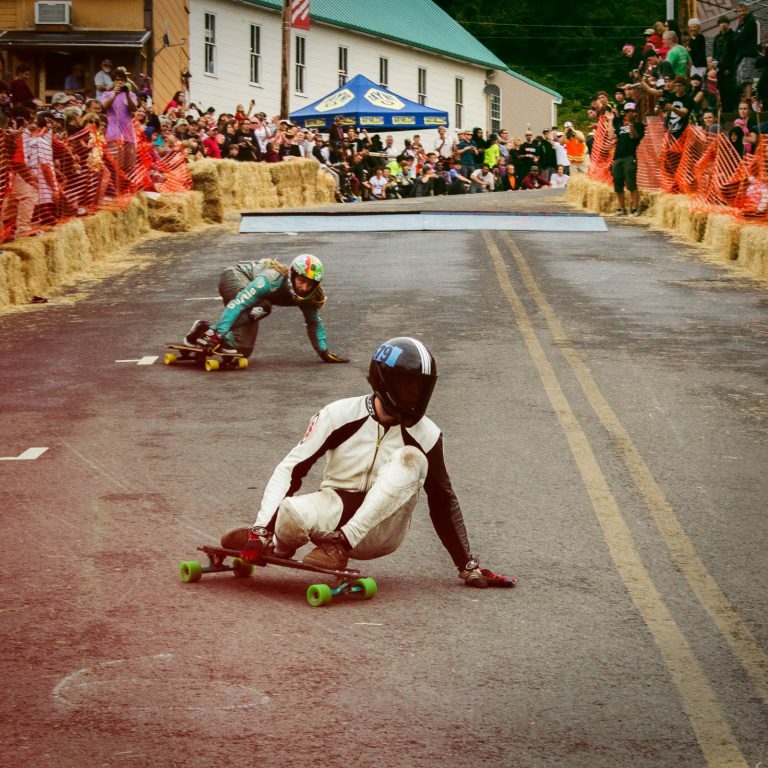 Team rider Nick Calafato on the Rocky Bomber placing 3rd at the Cathlamet Corral Downhill Race 2014.